AVP Autobody Collision Shop is excited to offer its services for you. We are located between major interstate highways I-294 and I-57, close to Chicago in Blue Island, IL. 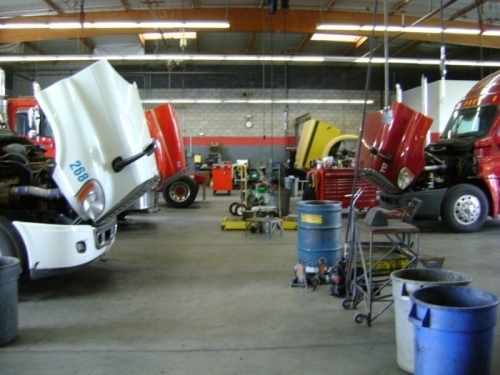 We provide all equipment and training necessary to ensure that your semi truck, limo, or vehicle gets repaired the first time following the highest industry’s standards. AVP Autobody Collision Shop can handle anything from the smallest door dent to major semi truck collisions, like jackknifes or rollovers. First class body, paint, and repair work. No hassle insurance claim repairs. AVP Autobody Collision Shop is the direct repair shop for Great American Insurance Company. That means that we can repair your truck without insurance company’s inspection. Possibly your semi-truck was involved in an accident and needs body repair? AVP Complete Truck Repair is your one stop shop for all of your truck painting, truck body work and commercial auto body shop needs. Our semi-truck body shop services are meant to help keep you on the road while leaving a lasting impression on potential and current clients who see your vehicles and equipment. From minor scratches and fender benders to front end collisions and rollovers, accidents happen. Fortunately, our mechanics will help get you back on the road fast and with minimal, out-of-pocket expense. We welcome your insurance claims and will work with you through every step of the process. Most important, we’ll restore your vehicle to it’s pre-accident condition or better!